This interactive book represents the distillation of an extensive collection of photographs taken during innumerable hikes and tens of thousands of miles of driving on Texas roads. 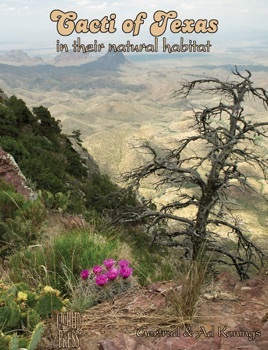 With over eleven years of cactus searching under the belt, the authors—both biologists—are some of the very few people who have seen and photographed each of the 131 species of cacti of Texas in the wild. 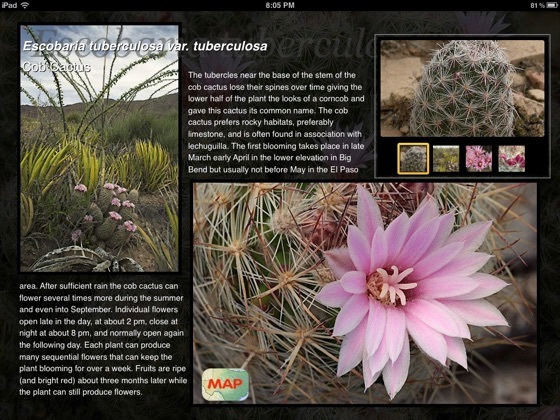 Almost all of these species were photographed while in bloom. 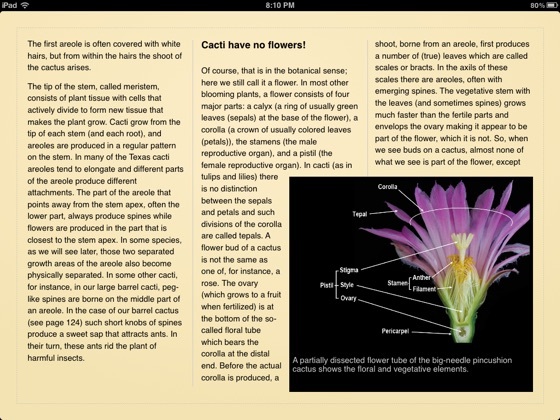 Photos of spination, flowers, and fruits are presented in full screen galleries. 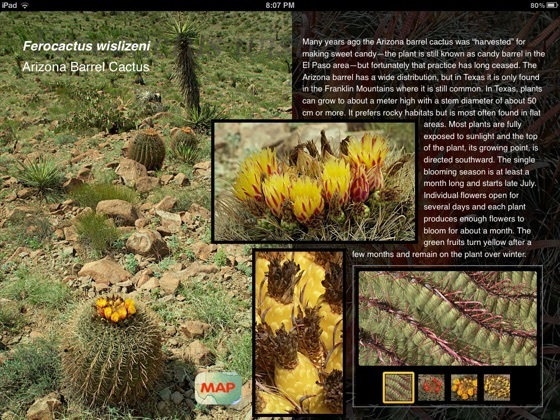 The most important aspect of this book is the fact that each cactus is shown in its natural setting. Unite this fact with the stunning photographs (700 in all), displaying the cacti at their best—in their natural habitat—and the result is the finest possible showcase for Texas cacti.